Numerically the sixth largest nation in the world and with an increasingly IT literature population, in theory Pakistan has the potential to be an excellent market for online bookmakers to target. However as a Muslim state with the vast majority of citizens practicing their faith, gambling is frowned upon. 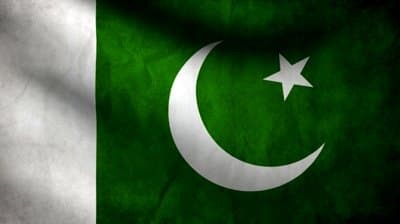 In this article we take a look at the background of gambling in Pakistan, assessing the current and previous laws regarding gambling, considering the ease with which online betting websites can be accessed and how willing international betting firms are to accept clientele from Pakistan. 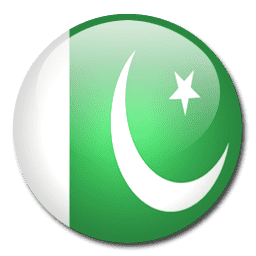 Here is a first look at the betting sites that we recommend using if you are living in Pakistan and want to bet online. Pakistan is a new country in its own right. Prior to independence in 1947, the state was under British rule and constituted part of what was known as British India. Almost immediately after gaining control, the government declared that the country would be run based on the ideologies of Islam. In 1956 Pakistan officially became recognised as an Islamic republic, and the teachings of the Koran have underpinned much of the laws and acts that have been introduced since. This was not good news for those who liked a flutter, as under Islamic law gambling is considered a sin. In 1979, very shortly after the implementation of the Prevention of Gambling Act of 1977, the then military ruler General Mohammed Zia-ul-Haq decided to legalise tote betting on Horse Racing. Whilst the move to enable gambling on racing appeared strange, it was reported to have been to curry favour with many politicians who had previously supported the General’s regime and who owned racehorses themselves. Over the forthcoming years, racehorse owners and bookmakers often conspired to stop their horses winning, in the process profiting from the general public’s losses. With the population’s thirst for gambling growing, it was not long before the underground cricket betting industry took off. In the early 1990’s, Pakistani bookmakers in Lahore were taking an increasing amount of cricket bets and were working in conjunction with bookmakers based in Mumbai in India who were setting the odds. Where there is betting, there is generally corruption, and it did not take long to seep through to the game in Pakistan. In 1994, Australian cricket players claimed that they had been offered bribes by Pakistan’s captain Salim Malik to fix a match. That was just the beginning. Despite cricket betting being illegal, the advent of the internet and subsequent explosion of online betting companies around the world left the cricket matches open to manipulation and infiltration from betting syndicates. In 2010, several members of the Pakistan cricket team were accused and charged with taking bribes to fix their international test match with England. Although the match took place in the UK and the bets were struck outside of Pakistan, the scandal demonstrates how betting has infiltrated into the Pakistani culture. With the recent corruption and with such a delicately poised political and religious climate within the country, there is no prospect of any alteration or easing of the legislation in the foreseeable future. That does not stop there being hundreds of gambling dens and shops across the major cities of Lahore and Karachi which rake in millions of dollars in illicit proceeds. Some bookmakers will operate out of hotel rooms to minimise the risk of being caught and with the fines typically only $10 for those participating in gambling activity, the deterrent may not be severe enough. But what about online? The government clearly ban all forms of gambling (except horse racing) and although the law does not specifically reference online gambling, wagering activity on the internet is covered under the general terms of the Prevention of Gambling Act of 1977. Do major international bookmakers respect the laws and adhere to the wishes of the Pakistani government by not accepting clientele from the country? Well in a word, no. Most of the major betting companies are happy to accept customers from Pakistan and some go out of their way to make citizens from the country welcome. The three notable omissions from the list are UK bookmaker Coral, Irish firm Paddy Power and European’s Bwin. As gambling is illegal in Pakistan, the recommended method of payment is via an e-wallet or equivalent. This method creates a third party to the transaction, thus making it anonymous and in the process reduces the risk of being caught or prosecuted by the authorities. Certain companies such as Paypal do not operate in the country and it is therefore advisable to open an account with established company Skrill. Debit/credit cards, direct bank transfers and cheques are a riskier method of deposit as they leave a paper trail to the betting company. Cricket is undoubtedly the most popular sport in Pakistan. Introduced to the country when it was under British rule, the sport is played and watched by millions of passionate fans. As of June 2014, the national team were ranked fourth in the world in Test cricket, and third in the Twenty20 format of the game. Shahid Afridi was one of the most popular players in recent years, playing from 1998-2010, breaking several records in the process. The Pakistan Super League is a professional Cricket league that has been in the pipeline for several years. Hosting five teams and with the game played in the Twenty20 format, the league was meant to be launched in 2013, but had to be put back due to a number of issues. The popularity of the sport has enabled the owners of the league to offer significant sums of money for players to participate and the aim is to attract world class players from countries such as Australia and New Zealand. As eluded to earlier in the article, betting on Cricket is extremely popular. Be it Twenty20, Test or One Day matches, the Pakistani fans are knowledgeable about the sport and want to utilise their expertise to make a profit. Throughout history, Pakistan as a nation have excelled at Field Hockey. In recent years the success for the Men’s team has tailed off somewhat, but between 1956 and 1984, Pakistan won three gold medals, three silvers and a bronze. For the first time in their history, Pakistan failed to qualify for the 2014 Hockey World Cup after bowing out of the Asia Cup. Although not as big as in neighbouring India, Horse Racing is still well attended in Pakistan. Karachi and Lahore are the two prominent race tracks, with the former being established all the way back in 1913. Whilst it is not the most popular sport in the country, Squash is a discipline in which Pakistan have excelled. The dominance was at its most impressive during the 1980’s and 1990’s when Jahangir Khan was virtually unbeatable. Overall he amassed ten British Open championships in addition to six World Open championships and such was his superiority that Khan went unbeaten for five years during the early eighties. However, similarly to Hockey, in recent years the stranglehold Pakistan have had over Squash has relinquished. No player has reached the final of a major tournament since the turn of the new millennium and the household names have disappeared. As a marginal sport, Squash has never been massive for gambling. As Football is the biggest sport in the world, it is popular with Pakistani punters who are able to get large stakes on with the vast majority of bookmakers, both domestically and internationally. However, the national team have struggled since they started competing and are currently ranked 164th by FIFA, having never qualified for the Asia Cup or the FIFA World Cup. Basketball is played at an amateur level in the country, whilst Tennis, Cycling and Golf also attract interest. Despite the religious doctrine being unmistakably intertwined into legislation in Pakistan, there is an active gambling culture which appears to be growing each year with citizens not off put by the illegality of their actions. The advent of the internet and willingness of foreign bookmakers to accept bets from customers in Pakistan has increased the number of avenues through which individuals can have a bet. Cricket is by far the most popular sport in the country and there are endless opportunities for citizens to strike a bet on international matches and domestic games in other countries. Fines are not currently severe enough to act as an effective deterrent and with the impending arrival of the Pakistan Super League, betting activity seems set to grow further.